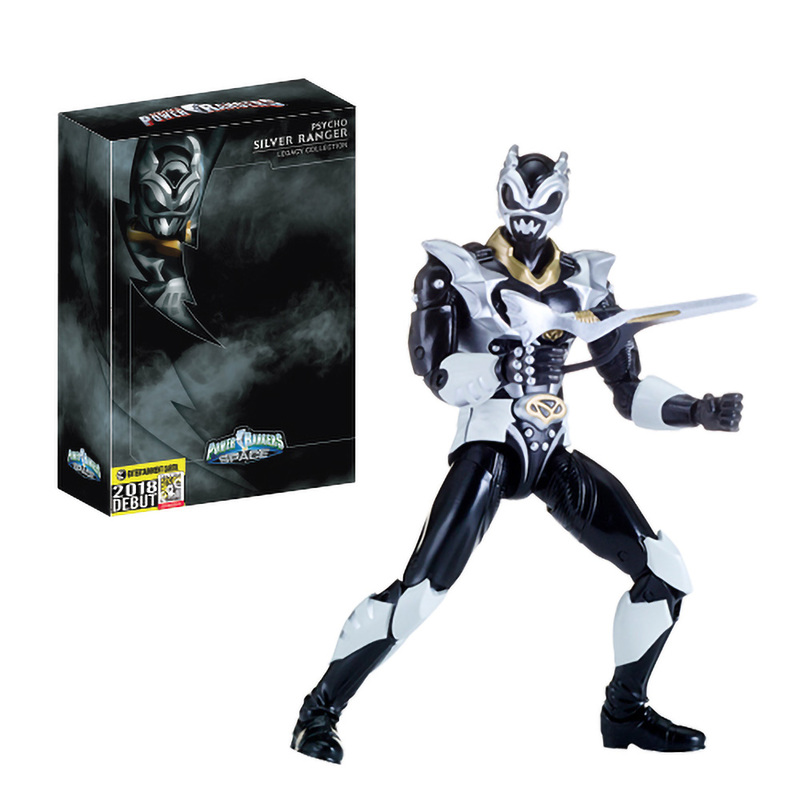 The Toyark › Power Rangers Toy News › SDCC Legacy Psycho Silver Ranger Entertainment Earth Exclusive Revealed! SDCC Legacy Psycho Silver Ranger Entertainment Earth Exclusive Revealed! Entertainment Earth adds another to their growing list of exclusives set to drop or debut at SDCC 2018. Today’s is a Power Ranger figure from Bandai US’s Legacy line – the Power Rangers in Space Legacy Psycho Silver Ranger. The figure is retailing for $45 USD, sold first at SDCC, and will be available at Entertainment Earth after the show while supplies last. Check out the details below and read on for the full pic! Entertainment Earth Convention Exclusive! “We’re the Psycho Rangers. We’re faster than you. Smarter than you. Stronger than you. But we’re evil!” From the Power Rangers in Space TV series, comes this Power Rangers in Space Legacy Psycho Silver Ranger Action Figure – Entertainment Earth Exclusive. The evil counterpart of the Silver Ranger from Power Rangers in Space makes his appearance in the Legacy line of highly detailed and articulated action figures from Bandai as this collectible 6 1/2-inch tall figure. With show-accurate styling and premium decoration, there are 21 points of articulation and a muscular, heroic design that’s perfect for play or display! 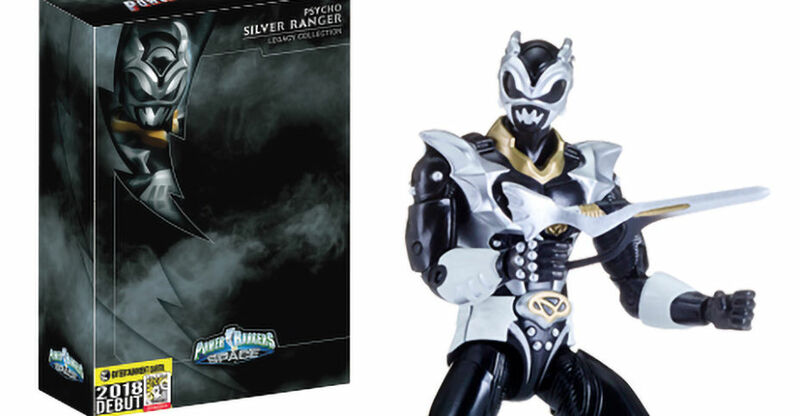 Great for adult collectors and kids alike, the Psycho Silver Ranger comes in premium Legacy packaging. NOTE: This item will first be sold at San Diego Comic-Con 2018 at the Entertainment Earth booth #2343. If supplies remain after the show, your order will be filled and shipped to you then, in August 2018. We reserve the right to limit quantities ordered. You can check out the order page here, and grab your copy first at SDCC 2018 if you are attending! Discuss over on the TokuNation forums!